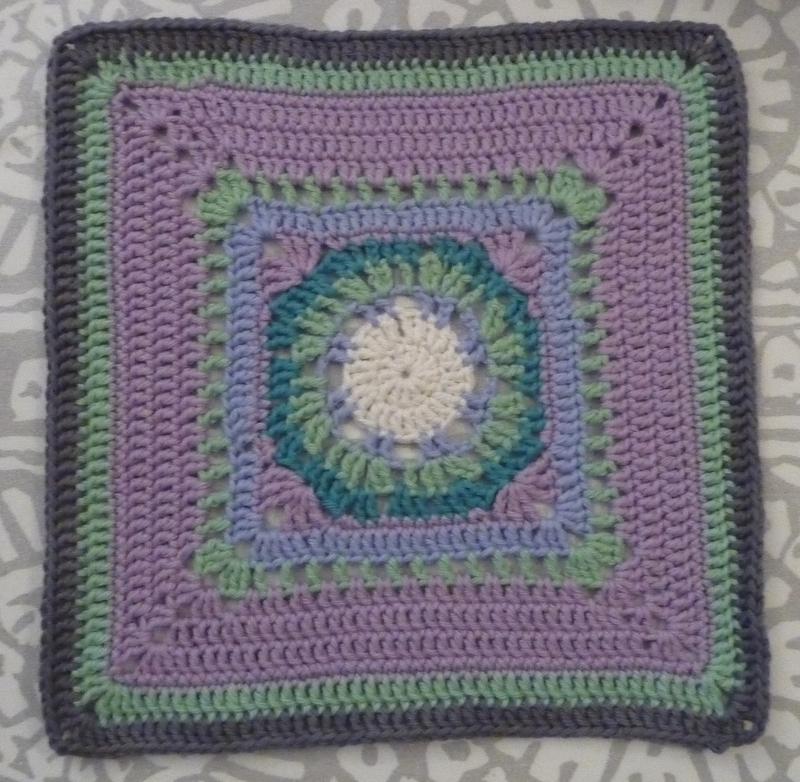 Once again you start with a round something that looks a bit like a flower and then it turns into a square like magic. 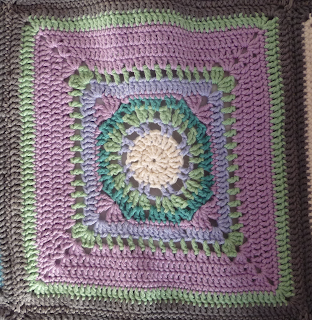 A lot of these squares did not start as squares and I like that, how each round shapes the product and you never really know how it will turn out. Sometimes the squares were hexagon shaped or something similar which was amusing. 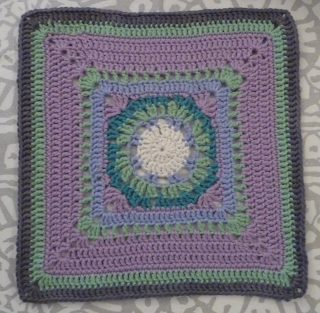 This was another rather easy square I remember, but I had a lot of fun making it which means I probably didn't do a lot of frogging, some squares make me uneasy when I look at them and when I try to think why I am sure it is because I had a hard time making them with lots of ripping and mumbling under my breath. 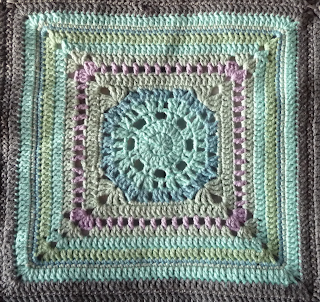 For a while I thought I didn't like the colours of the Grandmas heart (24, coming soon), but I have realised it is not the colours but my memories of making that square which colours my feelings about the the square and my colour choices.... But anyway, I like the colours in this one, but once again I think *Kio's square is more interesting, I LOVE her colour palette. The greens really look like some soft sea but if you look at my colours there aren't that many differences, she has both the dark and light turquoise whereas I only used a little of the dark one. 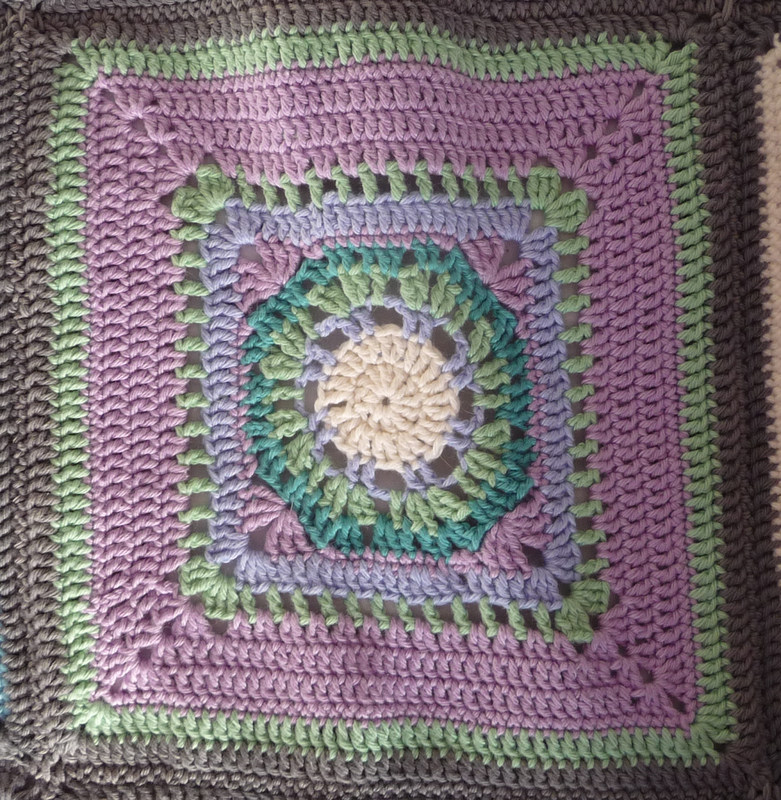 My main colour is purple and hers is two green tones alternating with some other soft hues in-between. *Kio's square is soft as I said and mine is more demanding. Very interesting I think. 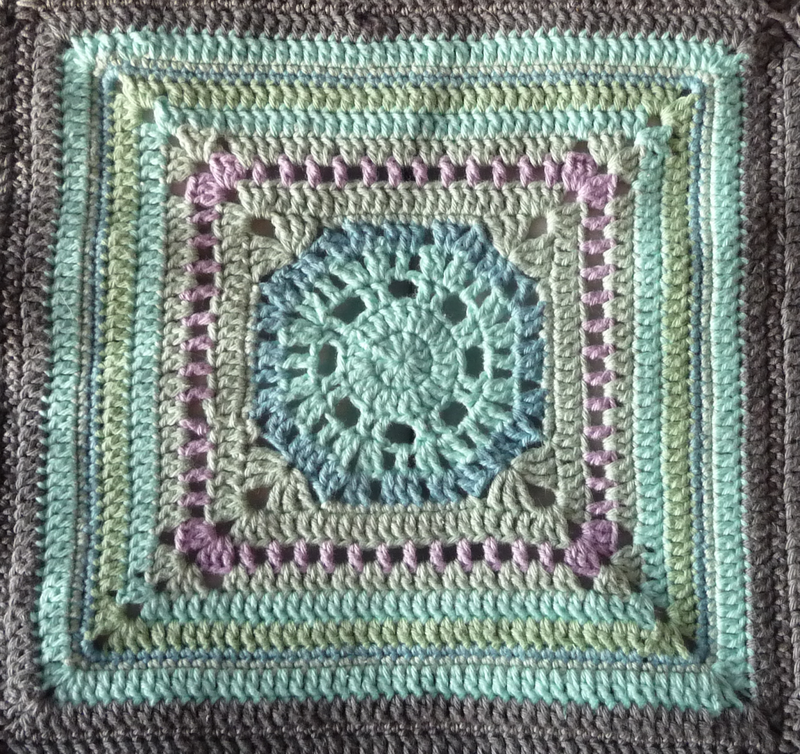 Again this square was 31 grams and 21x21 cm and finished in about four hours. I think this would be a great potholder, just add a plain back to it.